Did you know that if your relative has a “rapidly deteriorating condition that may be entering a terminal phase” in their life, you can shortcut the standard assessment process and apply for immediate provision of NHS Continuing Healthcare Funding (CHC) using a fast track process (known as the “Fast Track Pathway”). 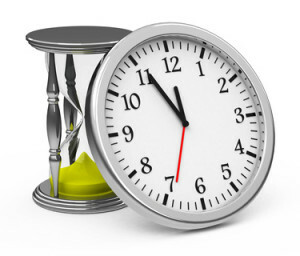 If successful, CHC Funding for your relative’s care needs should be put in place within 48 hours of assessment. Little is publicised about the Fast Track Pathway, and even many medical professionals and GPs don’t know of its existence! Sadly, the NHS won’t necessarily volunteer this fast track process. So, it is important to spread the word, as others in this unfortunate situation could be missing out on vital free NHS Continuing Healthcare funding for their relative’s care. It was often wrongly assumed that you have to be at “death’s door” to seek a Fast Track assessment for CHC Funding. That is incorrect. A rapidly deteriorating condition can of course happen at any stage in life – and not just at a terminal phase. Although the Fast Track Pathway is usually seen as an end-of-life tool to assess people in their latter stages of life – that is not necessarily the case. The Fast Track Pathway Tool for NHS Continuing Healthcare (October 2018) can be used for individuals “who need access to NHS Continuing Healthcare quickly, with minimum delay…”. Indeed, just because your relative may not be showing visible signs of significant clinical symptoms now, the nature of their condition and expected inevitable rapid deterioration in the future (progressing to a terminal phase) can, in itself, justify Fast Tracking. Request a Fast Track Pathway assessment without further delay to establish whether your relative is eligible for immediate CHC Funding, and can get the necessary funded care in their chosen setting (whether in their own home or care home), as soon as possible. Expected length of life remaining is not a consideration that should be taken into account. The CCG cannot not make excuses that CHC Funding is too costly. Both cost and life expectancy considerations are irrelevant – so don’t be fobbed off. It is a question of need, so make sure you insist on a Fast Track Pathway assessment where appropriate. Get the Care Home, Nursing home or GP to approach your Clinical Commissioning Group to arrange an immediate Fast Track Pathway assessment of your relative’s eligibility for NHS Continuing Healthcare Funding. How does the Fast Track assessment process work? 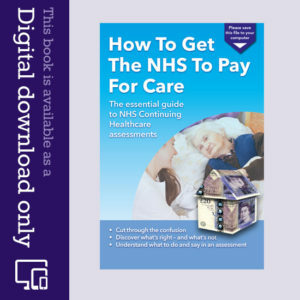 Paragraphs 216 to 245 of the revised National Framework for NHS Continuing Healthcare and NHS-funded Nursing Care (October 2018) provides updated guidance and support regarding Fast Track assessments. A Fast Track assessment is carried out using the Fast Track Pathway Tool (revised October 2018) designed to anticipate future needs. The Fast Track Pathway Tool is an abbreviated form, which records the individual’s condition (assessment diagnosis & prognosis), their immediate and future needs, and details of any deterioration (present and anticipated) with timescales. Who can carry out the Fast Track assessment? The Fast Track Pathway Tool will be completed by an ‘appropriate clinician’ to determine whether your relative has a ‘primary health need’. They should be someone who is responsible or knowledgeable about your relative’s health needs, diagnosis, treatment or care. As such, they are best placed to provide an assessment of their health needs, and can comment on whether any rapidly deteriorating condition may suggest a terminal phase. An ‘appropriate clinician’ can be a registered nurse or registered medical practitioner, and is usually a Consultant, Registrar or GP. The clinician should carry out the assessment and then give reasons justifying why the individual meets the Fast Track Pathway Tool criteria. and for the funded care package to be implemented. 2. The Fast Track Pathway Tool is completed by a clinician who actually knows your relative, is actively involved in their care, and has first-hand knowledge and experience of their condition. Upon completion, the Fast Track Pathway Tool is submitted to the Clinical Commissioning Group together with a care plan (or as soon as available afterwards) in order for the Clinical Commissioning Group to support the care package. If successful, the NHS will pay for all your relative’s healthcare needs – wherever they reside– with beneficial financial savings to you or your relative. Remember: Even if your relative is already receiving a funded care package (but not through the NHS), it is still worth pushing for a Fast Track Pathway assessment to ascertain whether the NHS should take over funding of the care in full at this stage. Once the fast track pathway tool has been completed, the outcome should be communicated within 48 hours and a care package put in place immediately to meet your relative’s needs. Make sure you monitor the situation to ensure that the Clinical Commissioning Group puts this immediate CHC funding in place – or else chase them up! WARNING: The CCG can undertake a reassessment, but should not remove a fast track funded care package without first undertaking a Multi-Disciplinary Team assessment and completing a new Decision Support Tool. Having to carry out a reassessment can cause huge anxiety. So insist on your right to be consulted and to be present, so that you can argue the case for CHC funding to remain in place, if appropriate, and ensure the process is carried out fairly and robustly. If your relative has an urgent need for assessment along the Fast Track criteria, don’t be put off and railroaded down the usual assessment path. The initial Checklist and full assessment processes are much slower, and can take many weeks or even months to arrange. Critically, for some individuals with a rapidly deteriorating condition, being ‘pushed’ down the wrong assessment track could result in them not living long enough to derive benefit from CHC funding. Getting a Fast Track assessment for CHC Funding can make a big difference to the setting where your relative chooses to be cared for – whether in their own home or a care/nursing home environment. As there are many families and medical practitioners alike, who still don’t know about the Fast Track Pathway, make sure you tell people and help the spread the word about this shortcut to securing CHC Funding. My mother has had to have 24 hour live in care for a number of years and we have had one failed CHC. She has just been discharged from hospital and has received a Fast Track result and they are putting in place 3 half hour calls per day. My question is shouldn’t they now be paying for the 24 he care that mum now requires. We are still having to provide the 24 hour care. If I disagree with the 3 daily calls do I have to start all over again? Any help would be appreciated. Glynis, Moira, Sara, your experiences echo my experiences with my Dad last year. NHS staff we spoke to were entirely ignorant of the existence of Fast Track, apart from two consultants. One said that he had to have a terminal illness and less than six weeks to live. The other simply refused to use Fast Track and said if we wanted CHC Dad would have to stay in hospital for 28 days and go through a full MDT assessment. We fought the hospital to take him home. He had deteriorated terribly since he was admitted. A GP visited him and told us she believed he was end of life. She said she would Fast Track him. We waited four days and nothing happened. Fast Track it turned out simply meant having access to the 24 hour district nurse service to request end of life medications. I insisted that Fast Track CHC was put in place(no doctor at the GP practice knew about it) and hastily a nurse who had never met my Dad completed and submitted paperwork. Still nothing happened and I had to phone the CCG. The CCG had no idea how to commission the care needed and the agency they chose was not really suitable. 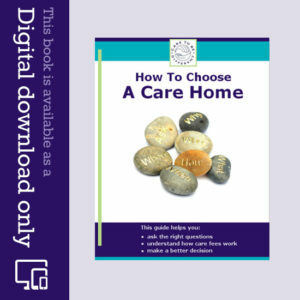 It felt as though the CCG had never before had to find suitable care for someone dying at home. Given the experiences described on this site I suspect Fast Track is hardly ever used when it clearly should be. The lack of humanity is staggering. The elderly, whether in need of long-term healthcare or quite literally dying in front of NHS staff, are just not a priority. My MIL was in hospital in August, we knew she was dying – severe (very rapid) dementia, not able to swallow, unable to move etc). On the 30th August the doctor finally admitted they could do nothing more and asked where she was to go (to die). They made it clear she should not be in hospital as they could not do anything – I’d been telling them this for about 2 weeks. I immediately asked for fast-track CHC having been through the normal procedures with my own mother. They said ok, they’d sort it out. She died on the Saturday (1st Sept) without ever being assessed or us managing to get her home (which was what she wanted). What should have happened? Should that doctor have done the assessment there and then? Does the 48 hours rule include weekends? I cannot see them managing to sort out care in 48 hours and get her home. We asked for a fast track assessment as it was obvious that the person was entering a terminal phase, unable to swallow either food, liquidised food or water, as a result of Parkinson’s. The person from CCG said he wasn’t going to die within 3 months so wasn’t eligible. Disgraceful. Just money saving. He went on end of life care 2 days later and dies 6 days after that. He did get CHC for final 7 days.